A vocal over user who speaks publicly several times per week has developed pain on the left side of his neck for the past month. 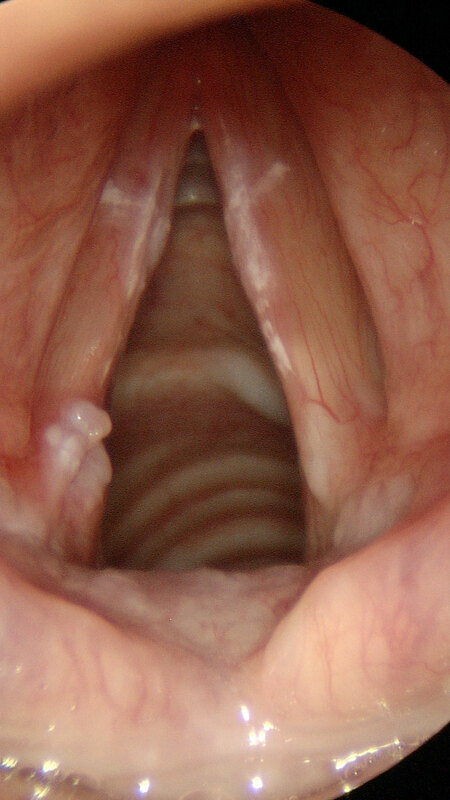 The pain is from the left vocal process ulceration. He quit smoking cigarettes/tobacco almost 10 years ago. 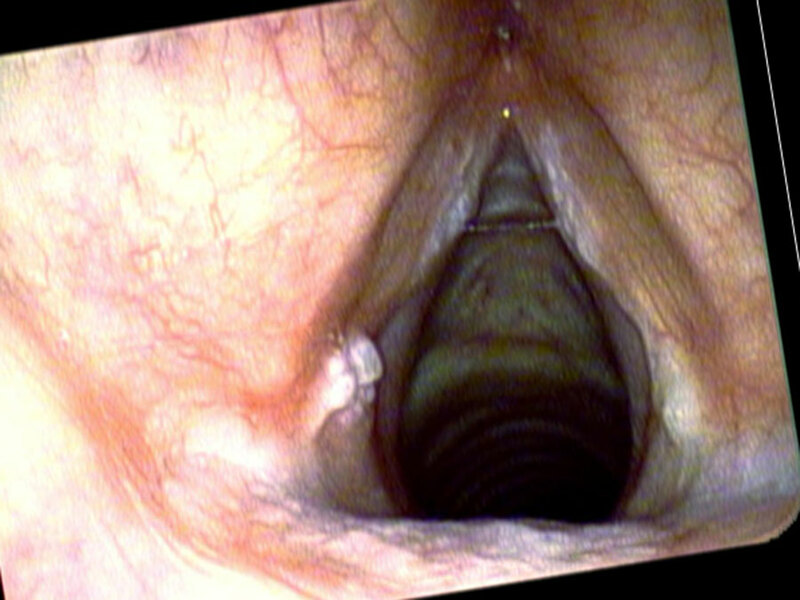 His leukoplakia on the central vocal cords could be from the prior smoking, from vocal overuse or from a combination of the two.